HANK: Susan Orlean had a great tweet Saturday. She wrote something like: "can we just have a nice boring week, please?" I'm with ya, Susan. I woke up yesterday and thought I'd feel safe..instead, I felt sad. I walked into the Dunkin Donuts, saw all the regular t-shirted messy-haired normal people just..buying coffee! And I burst into tears. My husband thinks I've lost it. Anyway.We've been talking all week about the intersection of fiction and reality, so how perfect it is that debut author Kay Kendall (she's fabulous!) is here today to explore that, too. My first experience of the lure of historic catastrophe happened at the movies when I was eight. On the screen a small town celebrated the return of victorious soldiers from World War I, I thought—How exciting it must’ve been to live during wartime. I longed for the drama, the glory. What did I know? That memory flickers in my head while I watch events in Boston on my television screen. As I write this, the city is in lockdown and Watertown is the focus of the manhunt for a nineteen-year-old terrorist. Lives have been lost this week. Many people have been maimed. This terror has not yet been conquered. Perhaps there are more people involved, perhaps more unexploded IEDs lying about. This may be drama, but it is not entertainment. This is not fun. But people clamor for fiction that features events like this. How do we explain being drawn to horror movies, spy stories, serial killers’ tales and the like? I think fiction of this sort shows how people can act in catastrophic times, overcome their fears and come out on top. When we read novels set during past wars, we can get scared but know how things turn out. The Nazis always lose, even if a few survive to plot another day. I grew up when the Cold War was pretty hot. I moved rapidly from a severe case of Nancy Drew-itis to being mesmerized by John le Carré’s twisted spy stories. Much later, when I felt compelled to devise my own mysteries, it seemed natural to turn to my favorites as models. For a year I drowned myself in mysteries set during World Wars One and Two and the Cold War. Of all the major wars of last century, only the wars in Korea and Vietnam weren’t “taken,” weren’t overrun with thrillers. Vietnam offered a dangerous yet fairly empty niche that needed filling…and I concluded I’d do the filling. During the U.S. involvement in Vietnam, by law Canadian immigration officials couldn’t ask men entering the country about their draft status. Consequently accurate statistics aren’t available. Informed guesses range from 125,000 down to 50,000. Whatever the number, further estimates conclude that roughly half those who moved to Canada still remain. They settled into Canadian society, made families and careers. Some even entered Canadian politics and were elected to office. For the half of draft resisters who left Canada eventually, it’s impossible to tell where they went. In 1974, President Ford offered clemency to Vietnam draft resisters and deserters. 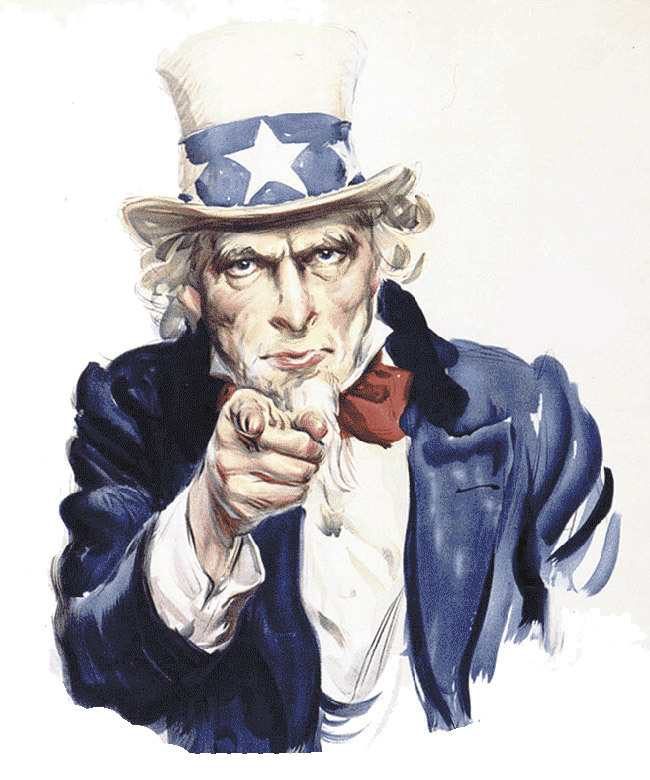 Only 27,000 of 350,000 eligible applied before the offer (mandating two years of government service) expired in 1975. Two years later President Carter pardoned those who dodged the war by not registering or fleeing the country. Stigma still attaches to the subject of draft evasion. Desertion, however, is a more serious offence, and it created political furor, especially among American veterans of World War II and Korea. As late as 2005, a Vietnam era deserter was prosecuted by the Marine Corps. 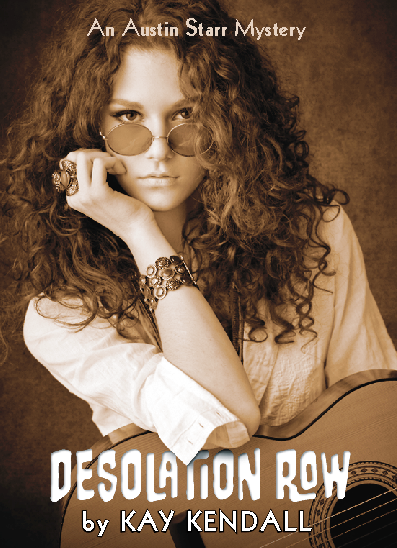 In my debut novel, Desolation Row—An Austin Starr Mystery, one young woman gets swept along by the tides of history during the turbulent sixties. She’s a moderate—not an activist like “Hanoi” Jane Fonda or Angela Davis. My fictional Austin Starr, homesick Texas bride of a Vietnam War activist, must prove her husband didn’t murder a fellow draft resister in Canada, the black-sheep son of a U.S. Senator. When the Mounties are convinced David Starr is guilty and jail him, Austin must find the real killer herself or risk losing everything. I enjoy writing about historical turmoil that lends itself to personal drama, intrigue and murder, I can control the world that I build on the page. That is comforting. But now I must return to my television screen, to wait for the newscasters to tell me that the crisis has passed, the bad guys are conquered. Waiting for comfort to come, even if it is only temporary, only until the next horror fills my screen. HANK: Kay (who apparently has...a rabbit??) will drop in to answer questions and respond to comments, and she'll give away a copy of DESOLATION ROW (Stairway Press, Seattle) to a lucky commenter. And we'll announce all this week's winners later today! Learn more about Kay and her book at www.kaykendallauthor.com, on Facebook <www.facebook.com/KayKendallAuthor>, on Twitter @kaylee_kendall, and at LinkedIn <http://www.linkedin.com/in/kaykendallmysteries>. Hank, I’m right there with Susan, too . . . a nice boring week, please . . . .
Kay, welcome to JRW. this is such an interesting time period to choose. What kind of research did you need to do? 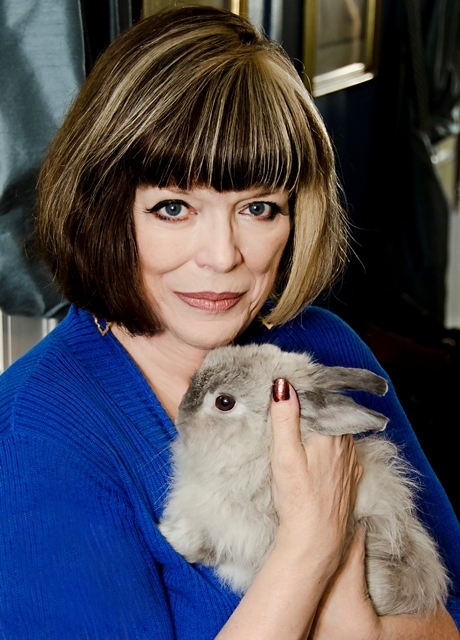 Is that a rabbit, or a chinchilla? Even though I reached adulthood and parenthood during the Vietnam era, I was pretty clueless about what was going on then. We didn't have the Internet then, of course, and my family didn't have a reliable TV most of the time. (Even then I preferred to read.) A cousin was in the Air Force and saw combat, but he went to England for R&R, met a swinging English bird, married her, had two kids, and rarely came back to the States. When he did he would never talk about his time in Nam. Great background premise for a book. A lot of baby boomers are still affected by that era. Best of luck, Kay. I remember when I was in high school and the Korean War seemed like ancient history -- to kids today, the Vietnam War feels the same. I think it's a terrific time period to set a book. So much ferment, and yes everything seemed so out of control. So my question is frivolous - but when I was little I was a huge Kay Kendall fan. Such glamour... and ultimately sadness. Did you name yourself after her or did someone else? Or is it just a coincidence? Amen to boring in life; I'd like my thrills to come from fiction. As Karen in Ohio said, a lot of Boomers are still affected by the events of nearly 50 years ago. Putting my mother through an extra hour of labor made the difference between draft #7 I would have received had I not turned over and gotten hung up and the #264 I actually received. That period has all kinds of strife and conflict. How did you choose which to incorporate and which to ignore? Hi Kay. Thanks for introducing me to Austin. I grew up in this same time period. I remember protesting the Vietnam War during college. Living in Maine, it was always discussed among my male friends that Canada was very close and an option. I will definitely read this book. I especially like what you say about thrillers. Yes, we like them and read them, and get scared and nervous but we know (usually) that things will turn out fine at the end. It's escapism at its best. And I echo the need for boring. I sat with a book and tea yesterday. I kept the tv off except for the Red Sox game. I cried during the pre-game ceremony. The tv guys showed Neil Diamond sitting in the stands so I was waiting for the eighth inning to see if he'd actually sing and he did! That was awesome. I think I have to meet this Austin Starr. Yes, Hallie, I think I had a Kay Kendall paper doll. And VIetnam? Ah. My life was changed when Kent State happened..more on that in tomorrows post. But theres a while generation of us whose lived were twisted into something completely different by it. And people who are twenty years younger have no idea. And yeah, Neil Diamond was awesome. And I had different favorite quote of the day--until Big Papi said the perfect thing! And the very cool (and very young) chairman of the FCC says--oh, well, that's okay. I desperately need "boring" right now. In the past few weeks there have been several crises in my extended family, and some things are not over yet. The Boston bombings and the Texas factory explosion reminded us that other people are suffering, too. Despite personal drama -- all people go through it from time to time -- I do enjoy reading thrillers and suspense because there is an end to it, and justice usually prevails. I will look for your book. I have read many books about the two World Wars but up to now have not read anything about Viietnam. I went to college in the sixties. I remember friends holding their breath, waiting to hear what their draft numbers would be. I knew many who served in Vietnam and lost a friend there. In my job I meet many Vietnam vets, many of whom are disabled. (For them, the story did NOT have a happy ending.) I think one reason I haven't read novels that feature the significant events of the Vietnam era is that I haven't wanted to relive it. Well, it is time for me to expand my reading to that era. Good morning, everyone. I will begin by answering Karen's question about my bunny, Dusty, who serves as my muse. He is part angora, chosen for the photograph by the rabbit wrangler in our home (aka husband Bruce) because Dusty can sit still longer than our four other house bunnies can. Yes, we have a total of five and are members of a rabbit rescue group in Houston called Bunny Buddies. Lucy, because I lived through that time period as a young adult, I didn't have to do lots of research, just some routine fact-checking. I did have a judge on the Ontario Supreme Court read my book for accuracy. I never tangled with the law in Ontario so I had nothing to fall back on there, thank goodness. I did, however, live in Ontario in the eighties. I've been in Houston since 1990. Yes, Hank, could somebody please hit the reset button for a normal/boring week. The terrible things in Boston, the terrible thing closer to me in Texas, the death of a beloved pet. I could use "dull." Hi, Kay! Welcome to JRW. What an interesting time period and story line. I knew boys older than me who went to Vietnam and didn't come back. And some who went to Canada and didn't come back. Such fertile ground for stories! I married into the name of the fabulous English actress Kay Kendall. Oddly enough, as a fifth grader I used to write my prospective married name over and over...and it was Kay Kenny. After my first BF Eddie Kenny, now deceased, bless him. He was the only boy in my class in grades 1-12 who was taller than I was! Actress Kay Kendall was the second wife of Rex Harrison. Once I went backstage to meet his son Noel Harrison for the sole purpose of saying I had "inherited" his step-mother's name. When I introduced myself, his mouth fell open, and he stood there for moments in shock. That was much more effect than I'd been hoping for. He was very nice. I loved her films! She was fab in Les Girls. Among many other great film performances. My book is doing well in the UK and I wonder if it's because of the name tie-in to someone still so fondly recalled. You asked how I chose which things about the sixties turmoil to include and to exclude. Because I wanted to write from a female perspective and from a non-radical point of view, certain things were easily ruled out. I also didn't want to get mired down in the radical politics too deeply. What interests me is how people get swept up by events beyond their control, even if they do not fight in the war of the moment or do not participate heavily in radical politics. While growing up, I saw how families were still being thrown about by the remnants of World War II. In my view, we will never understand how vast were the consequences of that war. How the men came home so damaged but just "sucked it up" and moved on. How we boomers were more pampered than previous generations as a response to the Great Depression and the horrific war. The scale is worldwide and we will never get a handle on it, but I wanted to try something similar, on a small scale. War and its aftermath figures heavily in the plot line of my mystery. I'm glad you are interested in reading my book Desolation Row. Something similar is Robert Redford's new film The Company You Keep. I saw it last night and boy oh boy, does it resonate. It has a terrific cast that plays a dispersed group of radicals, now in trouble with the FBI. It's interesting to me that this time period of sixties-seventies radicalism is slowly gaining some traction in fiction, after a very long absence. I bristle when I see it called "nostalgia." That's a put down. We don't call mysteries and thrillers set in World Wars I and II "nostalgia." I wanted to write about the Vietnam War era as history, to get the feel right. Some younger readers might want to see what it was like back then. I don't call that nostalgia. Hi Kay! Congratulations on your new book - it's now on my TBR list. I was in high school when the Viet Nam conflict started and have vivid memories. There are too few stories that cover this polarizing time. I am so glad the tragedy in Boston is to some extent resolved with the capture of the 2nd bomber. My thought and prayers to all of you who have to begin to rebuild. The tragedy in West, Texas is closer to home. I am one of the thousands of Texans who stop in West (ah-kolaches! )on the way to and from Dallas. The terrible thing with the fire and explosion is that they were completely preventable. Texas has such weak laws and lax enforcement of industrial facilities. Hey, stitchkat, thanks for putting Desolation Row on your TBR list. Seems you live in Dallas, straight up I45 from where I am in Houston. It's tough living in Texas sometimes...isn't it? I dearly love the state, half of my DNA coming from here, but still...lots of things our politicians do are embarrassing and downright indefensible. Lax enforcement of industry is merely the tip of the iceberg. Nora Gaskin, I believe Deb R. put her finger right on the key point when she wrote: "I think one reason I haven't read novels that feature the significant events of the Vietnam era is that I haven't wanted to relive it." Unlike for the two world wars, the US didn't have a big win. Society got divided. People were sick of it, wanted to bury it all. Now with more time passed, perhaps we can use it as fiction more that folks will want to read. We shall see. I do hope so. I will read your books, Nora. Write on! Hank, you are so right! And you and the other local media folks in Boston were amazing during all the horror! A reset button is definitely what we all need, Debs. My preference is always for boring in real life. I've learned that life will always throw "excitement" of all (often horrible) kinds at me without my seeking it out. Kay, I am so glad to hear about your book. I must have my favorite bookstore order it right away. I have a big novel about the Vietnam War that I want to write, and my agent is now encouraging me to go for it. My closest younger brother (twins the hard way) and my father and two lovers and my late first husband all served active duty in Vietnam. I was a war protester and have been teargassed several times because of it. My roommate and her boyfriend fled to Canada to avoid the draft--where she became an award-winning writer. I agree with Hank. That war scarred our entire generation and changed people's lives in so many ways, no matter which side of the issue they were on. I'm glad to see it being addressed in fiction. Can't wait to read your book! Linda, nice to meet you. I hope you enjoy my book and look forward to your big book on the Vietnam War. You obviously have tons of material. I was never tear gassed but did get "clean for Gene" McCarthy. Remember that? I also went out of my way, four years later, to vote absentee against the deplorable Nixon in the 1972 election, fat lot of good that did me. During the Watergate hearings I went daily to the grad student union at my foreign university to watch them on tv. It's taken me a while to come to terms with my own history back then, so much so that I think those times were preferable to today. Seems to me problems have only grown, mushrooming all over. So maybe my own escape is backwards into the past, eh? Boring? Yes, please, that would be nice. I lived through the turbulent "60s". Had friends dodge the draft and protest. Some of the draft dodging stories are quite memorable. We hoped to change the world for the better. Many of us are still hoping. Libby, the new Robert Redford film that I mentioned above, The Company You Keep, should definitely appeal to you. Like Deb and Linda, I was shaped in so many ways by the Vietnam era -- I knew guys who were Marines, bomber pilots, Navy officers and other guys who were conscientious objectors or who figured out a way to avoid the draft. My husband and I both graduated from college in June of 1968. There is a great deal of pain in memories about those days. But, the stories do need to be told. There are many myths, but the reality -- as is all reality -- was much more complex. I worked in the McGovern for President campaign, and one of my greatest success was getting my father -- a WWII Marine and Goldwater voter to support my candidate! Thank you, Kay, for telling this piece of history. As for the week that just was, goodbye. My grandchildren live in Watertown, and I don't know when I had a day more anxious than Friday. I now have to catch up with my JRW posts!! Hi Kay. I'm a native Houstonian who moved away during high school in the sixties. We returned in 2006. Never thought that would happen! I have very mixed feelings about the Vietnam war era. My boyfriend, later husband, was in ROTC at the U. of Texas in Austin. He was taunted for wearing a uniform and called a baby killer. He dropped out after one semester--too much partying--and joined the army. And yes, he eventually wound up as a grunt, in combat, in Vietnam. I would watch the news to see if anything was going on in his neck of the woods, and nothing ever was, according to the news. Didn't realize the news was censored. I got to where I could read between the lines in his letters. Dammit! Thinking about those times is making me cry. So many people were hateful to our soldiers when they were back home. They didn't talk about the war, except among themselves. I took a government course that traced the origins and progression of the war and saw we had no business being in it. But I wouldn't going to protest publicly, because that hurt troop morale. It really did. And I realized our government wasn't some benevolent being, but humans who would lie to us. Enough of this rant. I haven't been able to watch movies about the war, with the exceptions of Good Morning Vietnam, and Forrest Gump. Loved Forrest Gump. That's my generation! I encouraged my son to join the military when he was at loose ends. It really helped him. Also gave me gray hairs when his army unit was patrolling in Kosovo in 1999. And when his cavalry troop was the tip of the spear in Iraq. But what a world of difference between his war and my husband's. It is as if everyone wanted to make up for the way soldiers were treated back then. Well this is long. Sorry. Good luck with your book Kay! Denise Ann, thank goodness your grandchildren and everyone else are all okay in Watertown. I've never seen anything like all that before, but the cheering crowds were an excellent ending. Unlike you, I wasn't able to talk my father into not voting for Nixon. But my proudest moment of political persuasion was when ca. 1974 Daddy said quietly to me, "You were right. Nixon is bad." I didn't have to say I TOLD YOU SO. I simply beamed. KAy, I do remember--I went door to door, handing out McCarthy flyers. We actually hitchhiked, from Oxford Ohio to Cincinnati to do it..can you imagines? Two college girls, hitchhiking? And my husband was one of the lawyers for Mohammed Ali's Supreme Court fight to be a conscientious objector.. These are such thoughtful and important stories from all of you!. Pat D, that pain still exists and is bone deep in many people. I've a pal in Oklahoma who served in Vietnam and came home to derision. He then served in the FBI and is still hurt at his treatment. In my opinion the ONLY thing that society learned from the whole Vietnam War era/debacle was that we should never, ever blame the soldiers. I cry when I read of whole plane loads of civilian passengers honoring our returning soldiers. My own son is a LT COL in the Army and served in Croatia and twice in Iraq. When Vietnam comes up, he just says firmly, "That was a different war." He knows. He has relatives who went to Canada. There is still stigma. I thought I might get slammed online for daring to write about a draft resister who went to Canada. So far, that's not happened. Knock on wood. Although, in reference to another post this week, I have had some wicked ideas about what to do with those Congressmen/Senators/Idiots etc., that think that any sort of gun control is all inherently evil. Like I said to my husband this week, its a good thing I don't have an incurable disease or certain people from Arkansas would possibly see why there should be some sort of gun control...I couldn't hurt anyone, but I could scare the bejesus out of them. So maybe in my older age I could start stomping and marching...it's never too late. And welcome, Kay! Looking forward to reading your series. Kay . . . I graduated from bootcamp on 11/22/63. Not a good thing for a soldier back then to be seen crying. I did so. I also well remember the Vietnam war. Watched the burning of Watts up close. So much back then. Ran the gauntlet at the SF airport when came home in mid 68. Thank you for writing this book. I hope to read it very soon. A first for me. I don't read VN books. This one I will. My husband's uncle let the Chicago Seven out of jail. I am amazed at this outpouring of memories and feelings about the Vietnam War era. The time has come to lance these wounds, it would seem. I'm reminded of what a dear friend of mine tells me about not knowing much about his African American heritage. His parents and grandparents dropped a dense veil over their life experiences. They refused to speak of what they had been through. He wasn't quite sure why...whether it was guilt or pain or something else. But his older relatives are gone now and there is no way to find out. I'm also reminded, from a frivolous side, of the first agent I told about my book. She must've been about thirty years old. She said, "Will there be hippies? Oh, I just LOVE hippies!" So just for her I threw in one. When Dulcie enters the pages you're reading from Desolation Row, then you will know that she's there for the retro fun of hippie-ness. By now I've no idea who that agent was, but she had a good idea and I ran with it...though only for a little ways. Local oclor and all that. Dulcie was fun to write. Have a great week, y'all, and thanks for commenting! Such an interesting post & interesting comments! I am anogther one all for a boring/normal/no-event-that-isn't-a-festival-or-book-signing-kind-of week. When I was a child, my paternal grandmother used to quote one of her neighbors' opinions all the time about WWII which seemed very, very long distant to me(as well as a family friend killed then as an Air Force pilot). Turned out the neighbor was a driver for a Nuremberg trial judge during WWII & his BIL is one of my all time favorite people & cousins. Wish I had known all that while they were alive when I could have interviewed them or asked more questions.